 The Toby Creek Nordic Ski Club is a registered non-profit organization and at over 300 members now boasts one of the largest sporting and recreation organizations in the Columbia Valley. Our goal is to provide healthy winter recreation opportunities for families in the Columbia Valley. We offer youth programs for kids ages 3 to 13 years old, adult learn to ski programs, classic and skate ski clinics as well as a Ski S’Kool program for grade 3 classes in the area. We maintain the Lake Windermere Whiteway which, at over 30km in length, was awarded the Guiness World Record for the world’s longest skating track. We also maintain groomed trails at Lake Lillian and on the Junior Johnson trail network, and partner with other local trail systems at Nipika Mountain Resort and Panorama Mountain Resort. We coordinate a number of events throughout the year, including a loppet at Nipika Mountain Resort, the Best of Banff Film Festival, and our season kick-off social. We are part of Cross Country BC, Cross Country Canada and the Greenways Trails Alliance which provide support and insurance for club activities and programs. Toby Creek Nordic Ski Club shared a post. The Ted Bigelow who grew up in St Vital and went to Windsor School?? We're out on the trails! Send us an email and we'll get back to you when we're having our hot chocolate. I consent to Toby Creek Nordic Ski Club collecting my details through this form.